Home Apple Photos iPhone was born in 1983! iPhone was born in 1983! Could you imagine that the first iPhone was dreamed up in 1983??? It is not said explicitly whether it was called an “iPhone” but this is the original rendition of an Apple phone. 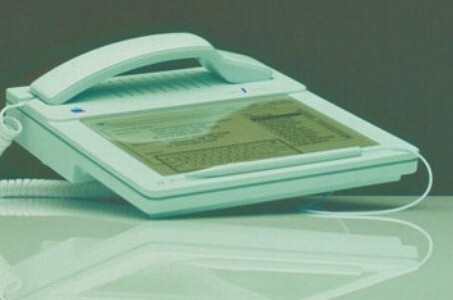 The gadget you see in the images here was designed by Hartmut Esslinger – one who designed the Apple IIc portable computer. He is the father of Marc Esslinger, an employee of Apple, who has a very special relationship to the company also. 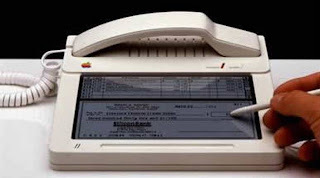 The “1983 iPhone” foreshadows the touchscreens of the iPhone and iPad as well. Since the images of the phone have been circling on webs, Apple’s history has become interest area for Stanford University. Although the archives are guarded secret, Stanford is going to start grant access to select journalists and organizations. The archives were donated after Steve Jobs’s rejoin to the company, in 1997. Despite the age of the “phone, that never was,” it looks amazing that can be updated into a modern consumer product easily. Will not it be nice to see this concept reworked with advanced conversation transcription?